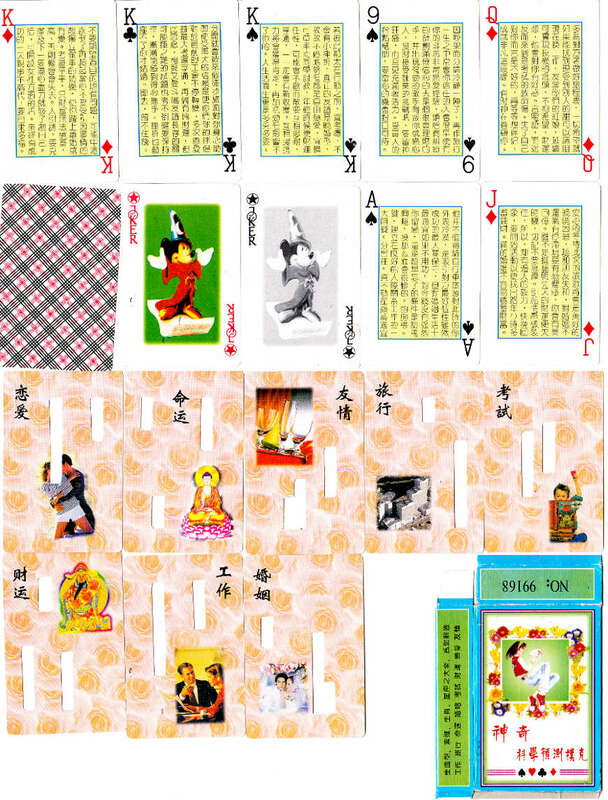 Above: wondrous scientific divination poker cards probably made in Taiwan and sold in various Far Eastern countries. 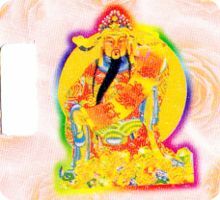 The cards contain Taoist and Buddhist imagery, on the card marked "fortune" there is a picture of the Chinese god of wealth, Cai Shen ( 财神). The back of the box has the instructions, which are very convoluted, and I was only able to make out something about shuffling the cards and dealing them out in piles. Images and descriptive notes courtesy Anthony Lee.